Part of my job as a professional scholar is to write letters of reference for students and graduates. Asking for an academic letter of reference is not an intrusion on my duties nor should it be approached with trepidation or demure. However, there are good and bad requests. A bad request is frustrating, time consuming, and runs the risk of spoiling an opportunity for the best possible letter. A good request makes it easy to write a strong and enthusiastic letter. Here’s a checklist of things to do in order to make your request a good one. 2. The most important thing for the referee is the date the letter is due and the required means of its arrival. Every request should stage front and centre the date when the letter needs to arrive and by what means it must arrive: post, courier, email (including requested format). 3. Closely related to the date, all relevant details for the destination: address (including email, FAX, and phone number) and to whom the letter should be addressed and sent. Don’t forget to include a working phone number! International couriers always require a phone number. 4. It is up to the person requesting the letter to ensure that all addresses and phone numbers are correct. Verify everything before your request goes out to a referee. 5. Then and only then should the referee be informed about the position, the job description, details, and employer. Whenever possible send a link to the job posting and a link to the department of the host institution. This will get a letter to the door but the letter has yet to be written. More is required of the petitioner. 6. How long have I known you and in what capacity? I know it is obvious to you but it is helpful to have everything in once place. Are you a current student, past student, recent graduate? When did you study with me? How many courses have you taken with me and which courses are they? What grade did you get? Did you TA for me? (when, which courses?). Include all of this information because a good letter of reference typically includes this kind of information. Don’t create a situation where I am required to look it up, that takes time and energy and can occasionally create a few surprises that may require clarification (I gave you an “F” in the first year?). A letter writer shouldn’t have to look up information you have access to nor send follow up emails requesting additional information. 7. Send me email copies of your best essays or assignments, published articles or book reviews, conference presentations… at the very least, a writing sample. How about a grant application proposal? Give me something to work with and send me samples of work encapsulating your scholarly contributions. If you have noteworthy essays that I have evaluated, send them along with an abbreviated selection of my comments and remarks. The more information you send, the easier it will be to write the letter. 8. Provide the referee with accurate information about important details you intend on conveying to the evaluation or search committee. If you’re planning on submitting your thesis in November make sure I know this to avoid a needlessly conflicting report (note, a referee may contradict your claim if they think it is unrealistic or overly modest). 9. Include a copy of your CV or relevant portions of your dossier. Make sure your CV is up to date and clear to read and navigate. It might be wise to use an existing template if your host institution has one. 10. What kind of letter are you expecting from me? Is this the primary letter, the specialist or the generalist? Should I focus on your research, teaching, service, or collegiality? (e.g. “My advisor is writing a letter and my external examiner – but we’ve been working and teaching in the same department for several years, could you say something about that?”). 11. Circumstantial: describe the “fitness” of your application to the position and what you’re going to focus on, that way I can support your strengths. You might want to say something about the kind of institution that you are applying to. It is for a major research centre in your field or something more like a full time service teaching position? 12. If you are applying to multiple positions, make sure all the dates and places are well organized. 13. Follow up: And follow up again! Find out if the letter has been sent. Find out when it will be sent. Ask me if I need anything to complete the letter. Check with me before and after the due date to confirm times, dates, and places. And here’s a little tip: if you follow up with new material sent as an attachment, keep the same Subject Heading so the correspondence stays together. When following up with a reminder, change the Subject Heading so the message gets booted to the top of my inbox. 14. Courtesy: ask your referee about reminders – by phone, mail, email? 15. Maybe not so obvious the first time around: letters of reference are confidential correspondence between the referee and the potential employer, appraiser, or search committee. Do not expect a professor to share the letter with you. 16. Check with your referee about all of the above. Kenneth MacKendrick is an associate professor in the Department of Religion, University of Manitoba. 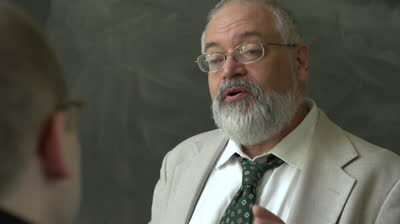 His teaching interests include cognitive theory of religion, contemporary Christianity (fundamentalism and charismatic movements, secularization), evil in world religions, method and theory in the study of religion, and rituals of death and mourning. His current research focuses the supernatural in popular culture. This entry was posted in Kenneth G. MacKendrick, Pedagogy and tagged reference letters. Bookmark the permalink. Ken, A nice piece. My only addition to these excellent points is to pass along the “thank you” letter or email to the letter writer. I’ve written recommendation letters in the past, and I also love to hear what happened with my student/colleague’s application. So it’s a good courtesy thing (“thanks for taking the time to write…”) and it recognizes that many letter writers care about the future of those for whom they write letters.